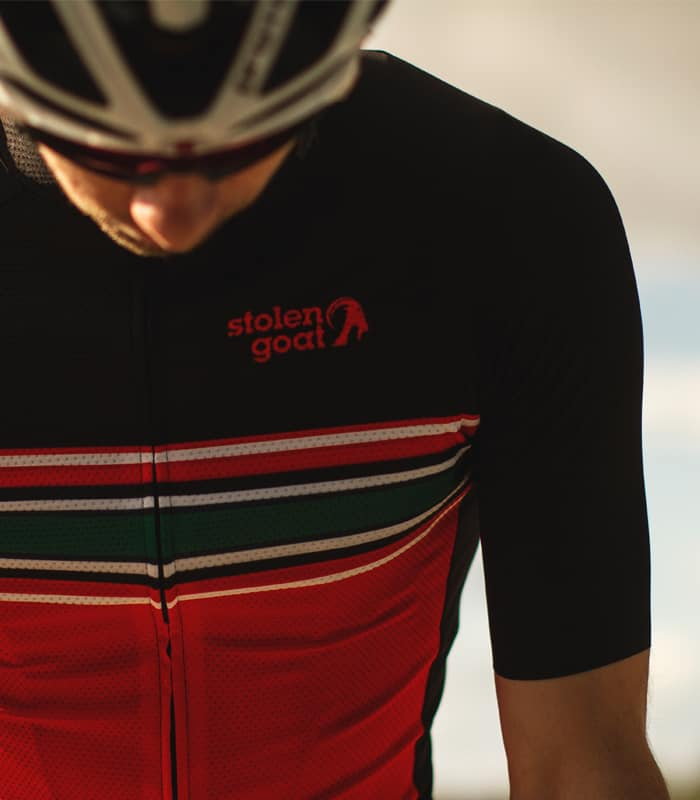 The stolen goat Sandinista jersey is brand new for SS18. 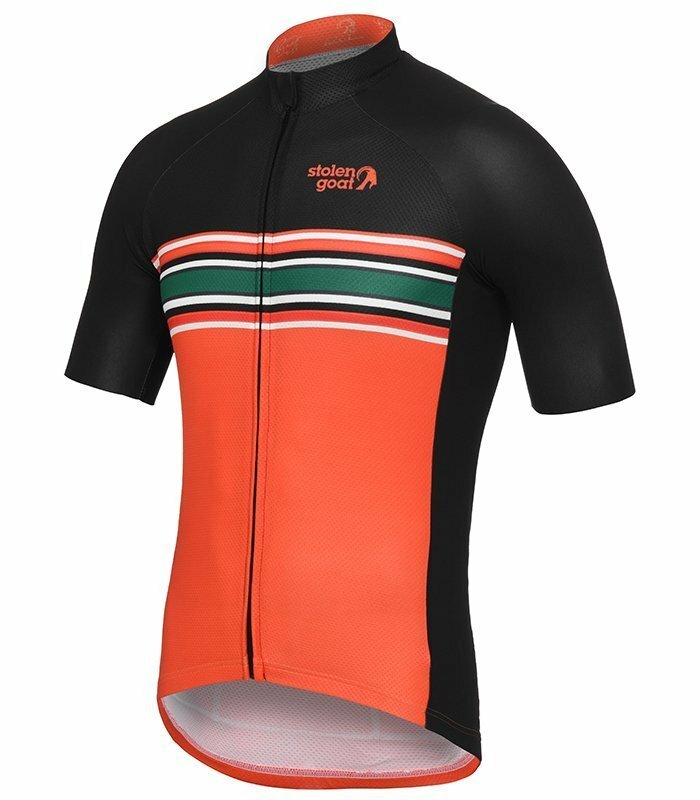 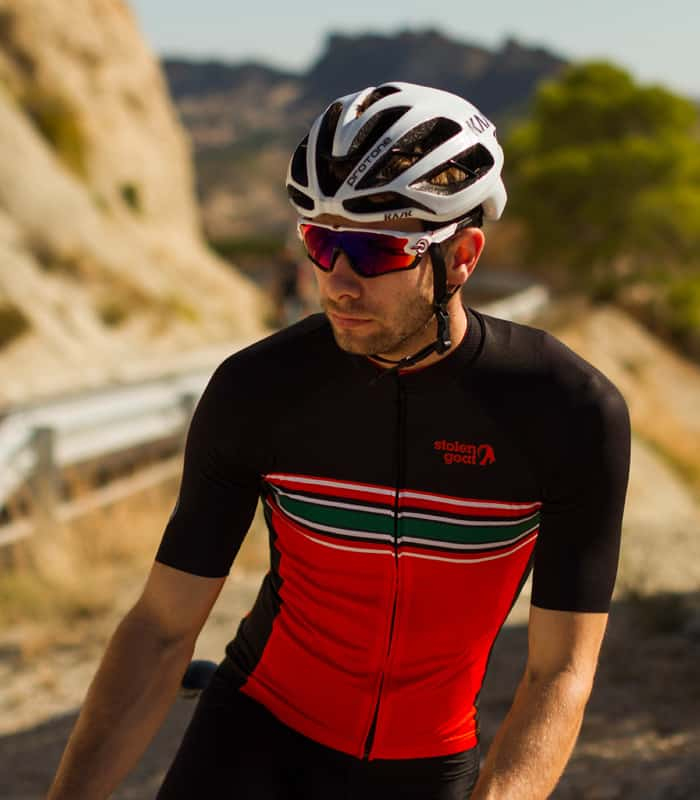 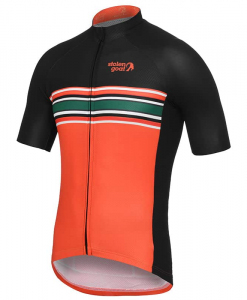 Based on our outstanding Bodyline Jersey that fits just-so and with a bright Black/ Orange colour combo with stripes across the chest make this jersey simplistically stylish. 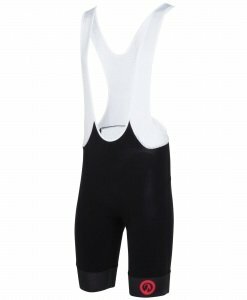 Utilising a Black base colour to make you effortlessly stylish and match perfectly with any of our shorts. 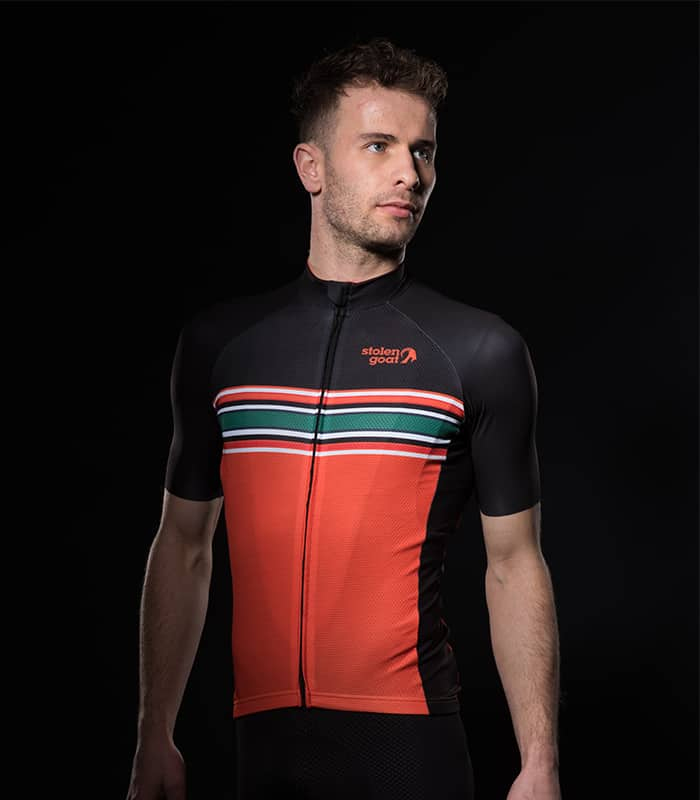 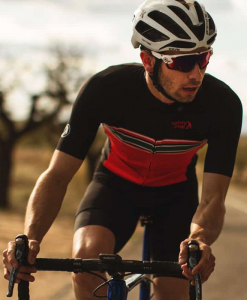 Plus fully loaded with raw cut sleeves, YKK zippers, 4 pockets (one zipped stash pocket) and 4-way stretch with UV protection this short sleeve cycling jersey is a real winner. 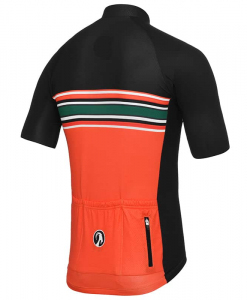 If you like Orange, check out all our other Orange garments. Our Bodyline Men's Jersey was created with a specific brief: be performance orientated, stylish and comfortable, without a huge price tag. 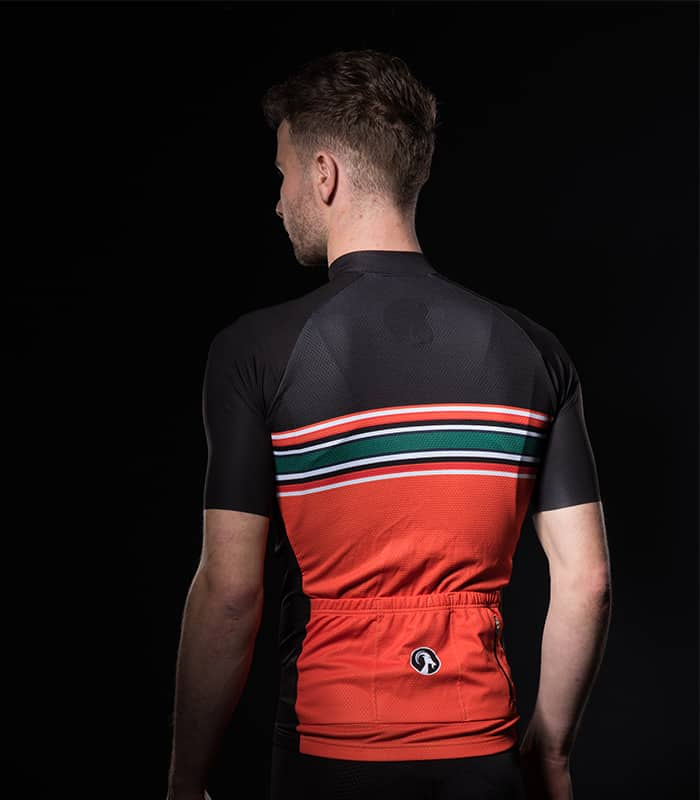 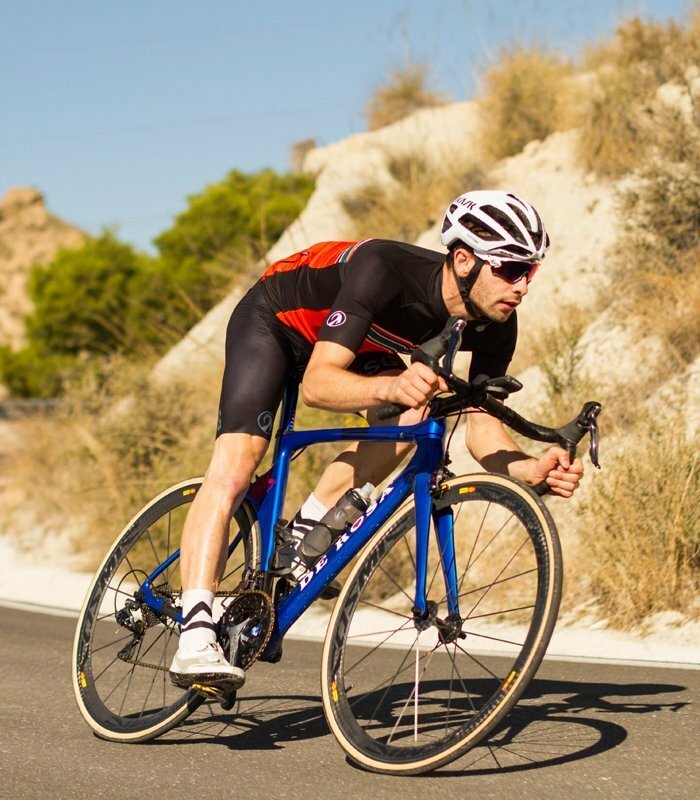 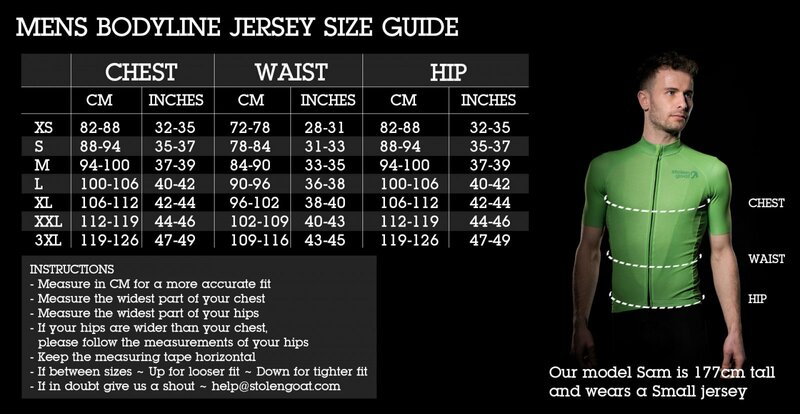 Bodyline cycling jerseys are manufactured to the highest standards and marry unique designs with high performing fabrics and a tailored cut that fits the everyday hero perfectly. "The fit on the Bodyline jerseys is top drawer; it's no exaggeration to say that it's on a par with high-end jerseys costing over £100." 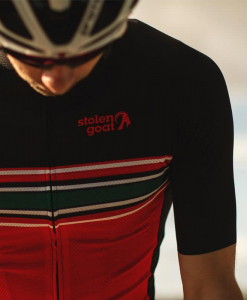 "Stolen Goat have achieved something remarkable in bringing a high-quality product to market at such a keen price"